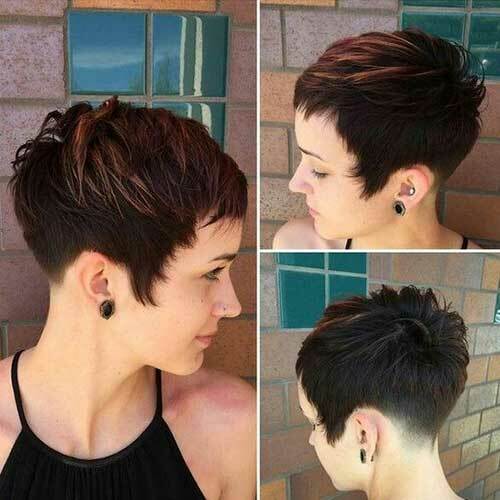 Brunettes look smart, sophisticated, modern and effortlessly chic with any short haircut. 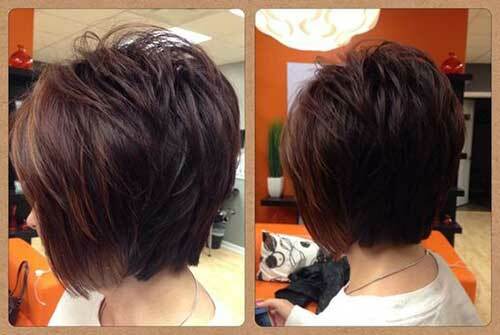 There are shades of brown hair color that any woman can adopt a brunette short hair. 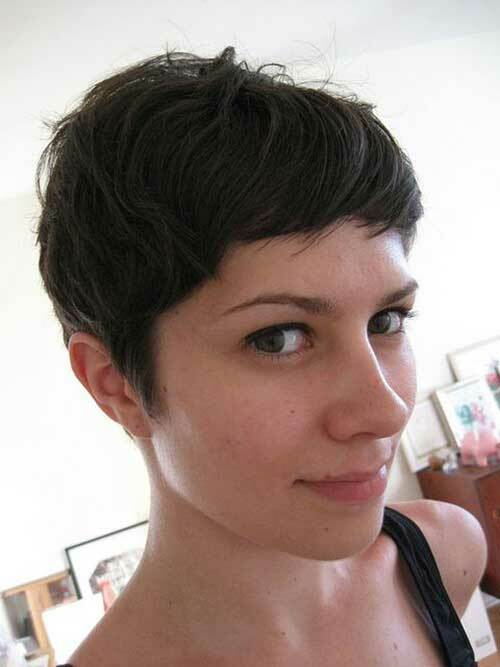 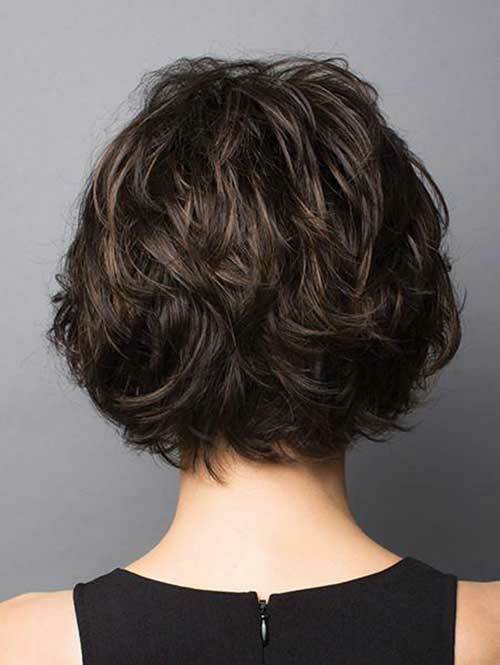 Today we’ll show you lots of different short haircut ideas for brunette women who want to update their looks. 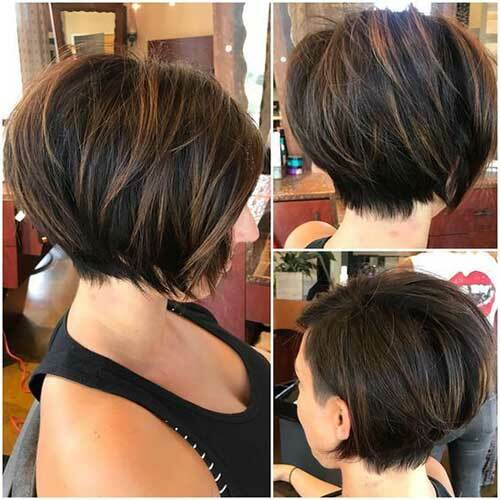 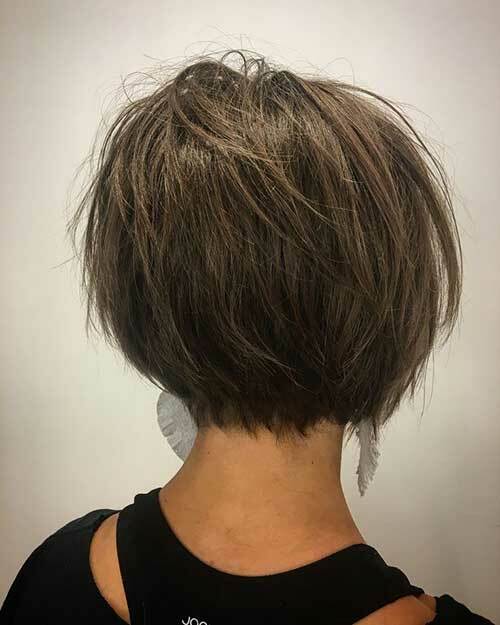 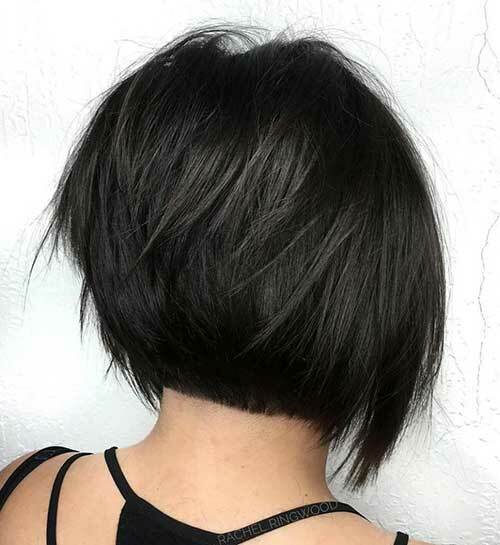 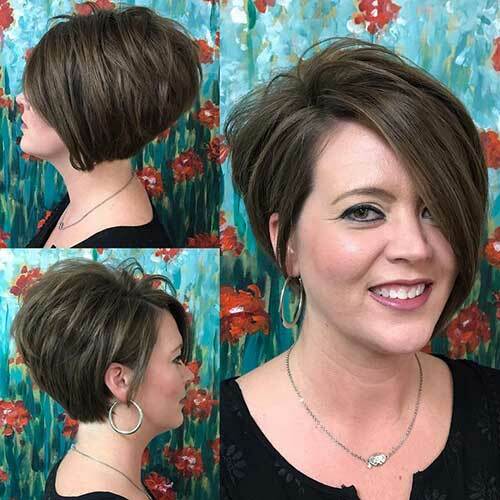 A-line bob hairstyles are generally the best ideas for women with fine hair and round face shape, it will add a nice texture and volume at the back and slimmer face shape from the front. 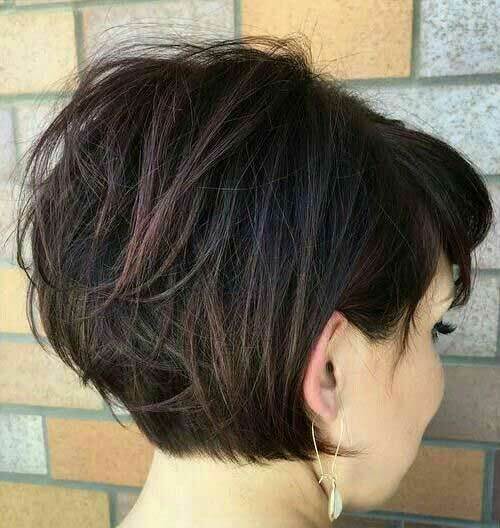 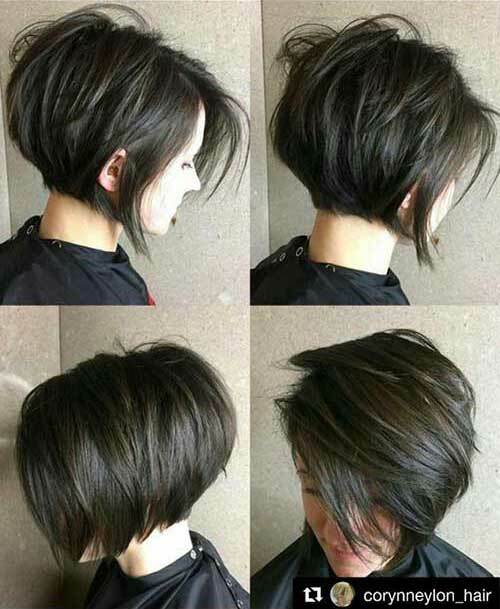 Super short pixie haircut with bangs might look boyish but it will totally make you look younger with a dark brown hair color. 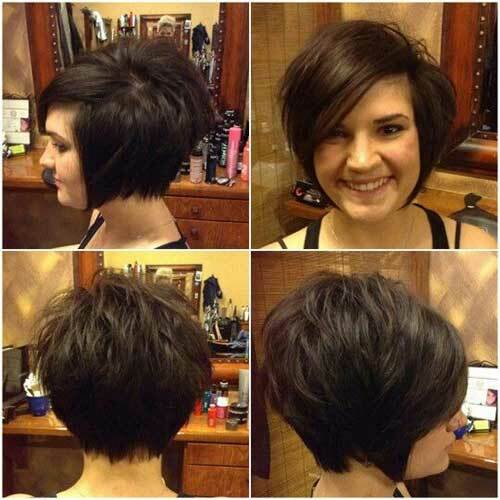 Inverted and angled short haircuts would be the best idea if you want to achieve a modern look and slimmer face. 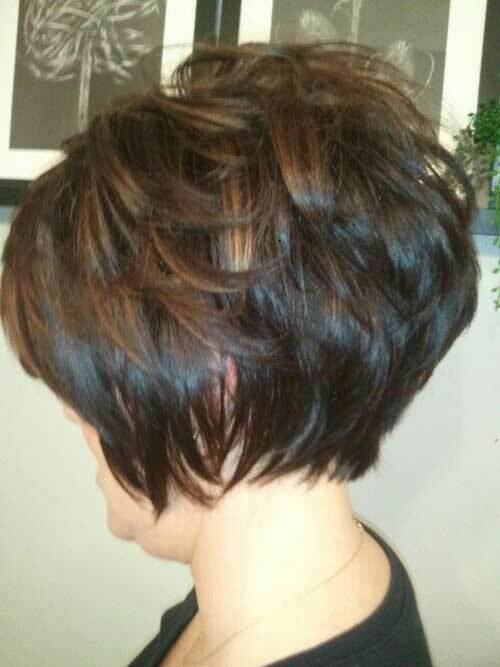 You can give a nice texture to fine and straight hair with layering and highlights as you can see. 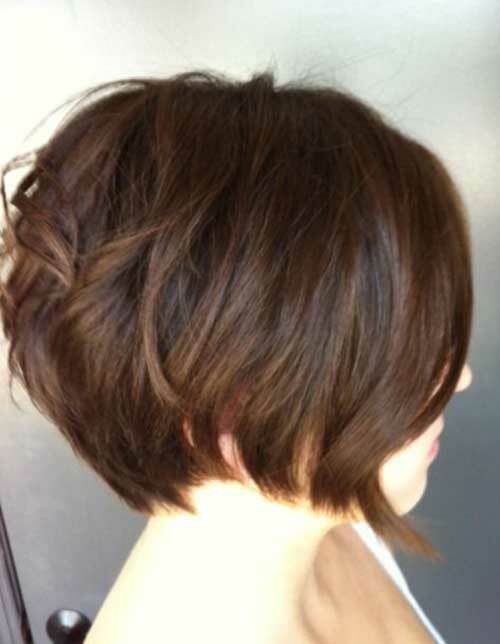 Here is a nicely layered short angled bob haircut idea, the blowdry also add a good volume.